Tagged under Shiori Teshirogi, TMS Entertainment, Saint Seiya (Meta), Series. I own season 1 n 2 of this Saint Seiya TLC. N now is waiting for season 3 to come out. 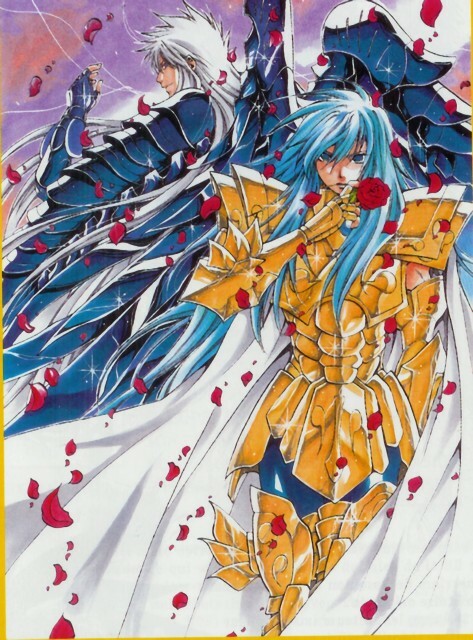 I dont know about past Saint Seiya much (bcoz when it started, I guess I'm in kindergarten or not even in school yet). But I think TLC better than that. In artwork n in stories. The fights r great too. Some of the stories n plots r touching n out of expected. But some guys, especially Albafica the Piscess n Ashmita the Virgo look like woman instead of man. T.T They r too beautiful, even u can compared them with Sasha the Athena herself. I haven't seen the original so I can't pretend I know what I'm missing, or if this trumps it predecessor. But I can say one thing: It is highly entertaining. I love the animation of it, and even the dull colors seem to throb with beauty but I've seen wayyy to many Zodiac animes go down the tube (and thought some were hysterically stupid). 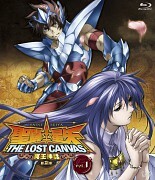 But for some reason Saint Seiya: The Lost Canvas holds it own. The characters are well rooted and not too flimsy. Doing a Zodiac anime is hard due to the fact you have to make/write about TONS of characters but yet make each one his own, and interesting and not just background noise. I'm giving it a 6 personally because it's not at the top of my 'favorite animes' or ones I'd want to watch again...but it has captured my attention! 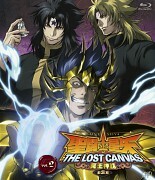 No feedback on Saint Seiya: The Lost Canvas.